Gary Fetters lays an ICF block during the building of the Lego house Oct. 16. Air Force careers gave the brothers keys to success. Retired senior master sergeants Gary Fetters and his brother Rod Fetters own Castle Rock Homes, a successful Phoenix area home building company. Castle Rock has pioneered a unique method of home building. 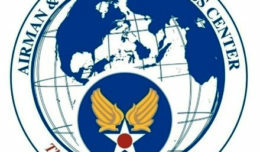 Their successful business journey began in 2004, but the foundation was laid in the Air Force. Gary served in the Air Force as an aerospace ground equipment mechanic from 1984 to 2005 and had four principal duty assignments, which included Shaw Air Force Base, South Carolina; Little Rock AFB, Arkansas; Osan Air Base, Korea; and Luke AFB. Gary and Rod served together in the 56th Equipment Maintenance Squadron from 2001 to 2005. Rod served from 1985 to 2005 and was an aircraft structural maintenance technician. 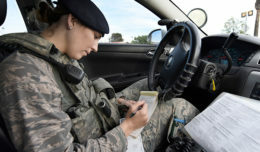 His duty assignments included McConnell AFB, Kansas; Florennes AB, Belgium; Whiteman AFB, Missouri; Carswell AFB, Texas; Tinker AFB, Oklahoma; and Luke. They retired together in 2005 from Luke. Rod said his years of duty were filled with numerous memories. Gary also recalled a number of highlights his years in the Air Force offered him. Not only that, Gary said the Air Force prepared him for a successful future, by giving him valuable skills he took with him. 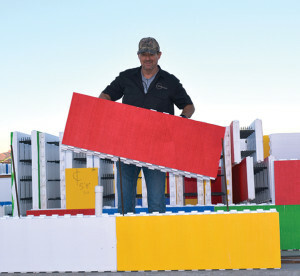 Rod Fetters stands in front of the Lego house constructed in six-and-a-half hours by Castle Rock Homes, using Lego-like ICF blocks in Waddell. However, managing the attitudes around change was one of the most profound challenges that the Air Force taught Gary, and he carried this knowledge into his business. Rod also felt strongly that success in the Air Force paralleled success in building homes. Gary, a St. Joseph, Missouri, native, was stationed at Luke in 1993 and decided to stay in the Phoenix area and start the business after his retirement. Rod is also is a native of St. Joseph and has lived in the Phoenix area for 18 years. Both brothers said it was exciting to serve their final four years together at Luke. 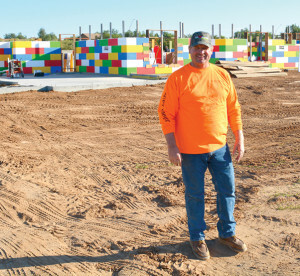 Gary and Rod’s business, Castle Rock Homes, has built more than 100 homes and insulated concrete form structures including churches, fire stations and 911 call centers. Castle Rock Homes has built more than 100 homes and insulated concrete form structures including churches, fire stations and 911 call centers. ICF structures offer one of the highest energy-efficient products available. 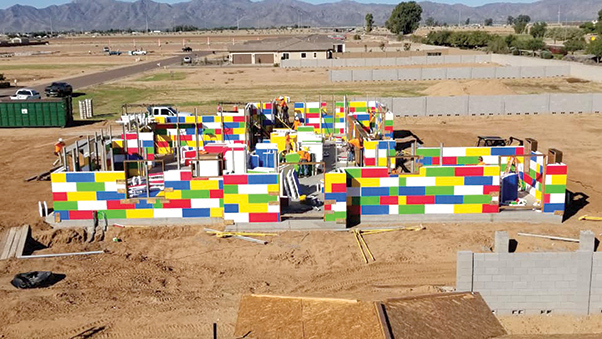 The brothers took on the challenge of building a Lego-style home in one day in Waddell, as a fundraiser for the Special Olympics Arizona – Palo Verde Chapter. ICF structures offer one of the highest energy-efficient products available. The brothers took on the ultimate challenge by constructing a Lego home in one day, on Oct. 16 in Waddell. The project has another side, in that it will raise money for the Special Olympics Arizona — Palo Verde Chapter, Gary said. Gary has been married for 33 years and has three adult children. His oldest son served four years in the Marines. He expressed a profound sense of gratitude.